I love summer camps. However, "Camp Twitch and Shout" is not your typical summer camp. This is a camp for people who have Tourette syndrome (according to Wikipedia is also called Tourette's syndrome, Tourette's disorder, Gilles de la Tourette syndrome, GTS or, more commonly, simply Tourette's or TS). 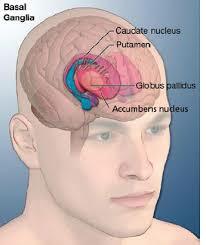 It's a neurological disorder characterized by motor and voice tics. According to the Centers for Disease Control and Prevention, three out of every 1,000 school-age children are believed to have Tourette syndrome. The cause is unknown, but genetics appear to play a role. Most children develop the condition between 7 and 10, and if their tics are mild to moderate, they usually require no medicine to control them. Symptoms usually peak during the late teens or early 20s. What goes on at Camp Twitch and Shout? Children with Tourette's get to have fun. It's so great to see social support groups like these camps. We have CaringBridge and other online social support sites for people who are struggling with various health conditions. When you get to meet at a camp, interact, and have fun, then I'm sure some unique friendships develop. Click here for the CNN story.